Whether you want to use the full stock control system or not its your choice. SALONBase gives you the opportunity to group your product by ‘brand’ then by ‘product type’, so finding and adding products to a sales ticket is both easy, accurate, and fast. You can enter an optional description of the product with a direct link to a web address for that product if you wish. 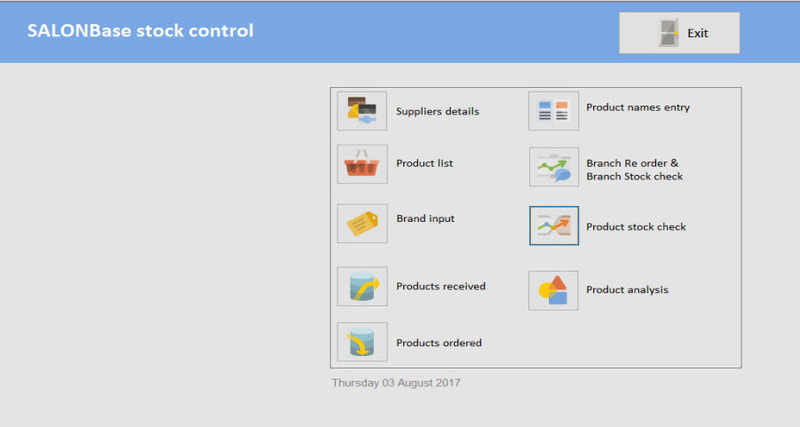 Adding products to a sales ticket using SALONBase is both intuitive for your staff and reduces the risk of mistakes being made. You can add products (items) either by using a bar code scanner or selecting from the screen. Salon management made easy with salon management system. If you are running a salon and looking for effective salon management system, Salonbase - the complete salon management system is what you need. management software can be incorporated into your business with ease. Please read more about some of these features below. SALONBase has been designed to be used with a touch screen monitor if you have one- but don't worry if you don't, it's still easy to use with a normal keyboard and mouse.